Predictions about the emergence of “smarter” cities are gaining momentum in popular conversation. Envision a network of city sensors that captures data to better optimize processes and react to events. These sensors identify things like potholes, gunshots, air quality, traffic patterns, water leaks and a whole host of other municipal issues. The end result is a better living experience for city residents — but that’s not the only driver. Businesses have generated a plethora of ideas to compete for municipal budget. Cities see the opportunity to gain efficiencies and further stretch precious tax dollars. Together, they are working to best implement the city of the future. 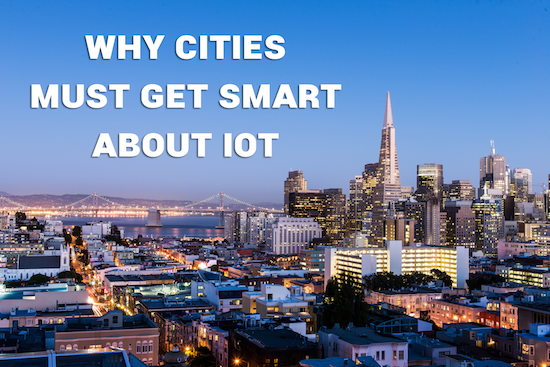 What’s driving cities into IoT? Increase the population and tax base. Embracing IoT isn’t just about making life better for citizens. It opens up new opportunities for cities to gather, process and act upon events happening locally. And once cities start ingesting data in a “smart” way, they can continually improve processes and further extend tax revenues — giving citizens more for their money. And that virtuous cycle of improvement furthers growth in forward-thinking cities. By optimizing processes and increasing citizen satisfaction, smart cities are transforming themselves into the ideal location for exactly what they need: more tax-paying, technologically-savvy citizens. We see it happening already, as technology hubs entice more residents each year — versus their counterparts that fail to innovate. Smart cities can enable ecosystems, entice technology pioneers and provide gravitational pull for diverse arts and ethnic communities. Municipalities that take a proactive approach to IoT are learning sophisticated adoption techniques and the resulting benefits. 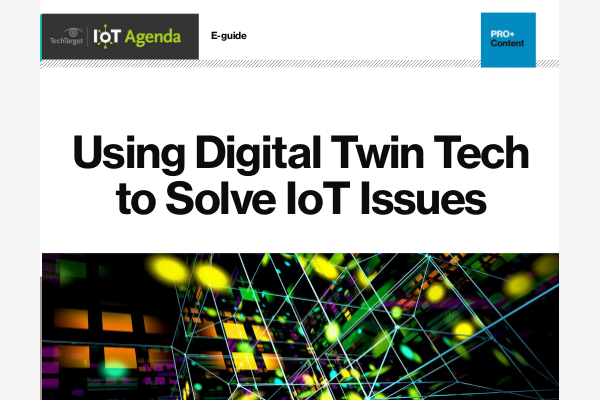 They view IoT as an enabling technology, rather than just deployed and managed software. Cities are beginning to treat IoT like a utility — a service that should be provided to all citizens. Take electricity, for example. Rather than installing lights in homes, the city simply provides an agreed-upon voltage and wattage to each dwelling. The city’s electrical grid provides a standard power supply for refrigerators, televisions and hot, clean water. This standard and the supporting base infrastructure enable healthier citizens, greater productivity and the availability of new lifestyles — with zero municipal implementation required. Cities can take this same approach with IoT by ensuring that core city services are available for connection and integration. Providing an IoT platform to citizens means they can build their own IoT technologies connected to municipal infrastructure. Budding entrepreneurs can find ways to optimize traffic and parking, while established property management companies can support more safely monitored homes and businesses. Basic qualities like data availability, integration to city management functions and access to artificial intelligence empowers residents as agents for change. And cities will now be able to meter residents’ activities individually. This innovation will allow municipalities to generate revenue in ways they never imagined. Picture a city that provides enabling technologies to citizens through a variety of vendors. LPWAN providers, IoT software providers, cloud vendors and many more will work together with civic leaders and citizens to achieve common goals. Cities looking to future-proof themselves will choose integrations over open standards, across many clouds and using any hardware — all with the ability to easily migrate to new providers in the future. These technologies will improve the lives of residents and give local companies a competitive advantage. Cities have a unique opportunity now to skip the temporary solution phase of IoT and jump directly into empowering citizens to change communities for the better.